American history is about a lot more than wars, elections, and sweeping cultural changes. Regional stories, legends, and traditions are also an important part of the equation. That said, no serious study of American history should be considered complete without a detour or two into local interest history. History Press’s Haunted America series introduces voracious readers and avid history buffs alike to a time-honored tradition that is too often overlooked when it comes to history – the great American ghost story. Explore the backstories of famous hauntings across the nation, as well as little known chilling tales, one American city at a time. Ghost stories are more common and widespread than you may think. In fact, each American city, town, and community brings its own unique collection of tales to the table. 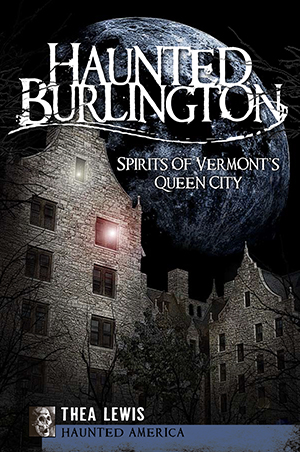 Start with Haunted America volumes that cover your own hometown or favorite regions, and then explore the spectral histories of other towns across the nation. Delve into the fascinating backstories behind the haunted Civil War battlefields of Alabama. Learn about the haunted apartments, schools, and establishments of historic Yonkers. Discover fantastic true ghost stories about hauntings in Lake Tahoe, Gary, Montauk, Reno, and many more American locations, as well. Every local ghost story has its roots firmly planted in history, and Haunted America introduces you to all the best.